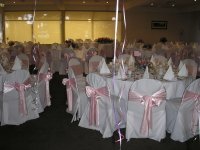 Keysborough Golf Club's facilities can be tailored to meet every function needs from weddings to anniversarys, from seminars to business product launches, from corporate golf days to business dinners, from birthdays to christening celebrations. Keysborough's Members Bar is the ideal way to finish off your round of golf whether its by the open fire enjoying a glass of red or in the Summer months enjoying a crisp cold beer from our extensive beer selection. Relive the highlights of your round on our comfortable couches or simply enjoy a coffee while chatting with fellow golfers. The Boardroom overlooks the 18th green and is suitable for smaller groups requiring a more private atmosphere and is ideally suited for any of your company's business needs. A picturesque location suitable for before and after golf drinks, Christmas BBQ Functions, Members BBQ Functions and is the ideal location for Corporate Golf Day Registration. 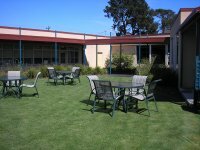 The Dining Room comfortably accommodates a maximum of 200 guests for a cocktail function or 160 guests for a banquet function and can be divided in half for smaller functions. The dining room has a fully serviced bar, which stocks a full range of local and imported premium wines, light and heavy beers, spirits, as well as non-alcoholic beverages.